Complete your designs with clean lines. This expansive collection of tailored trims in 36 solid colors adds simple sophistication to furniture, window treatments and accessories. 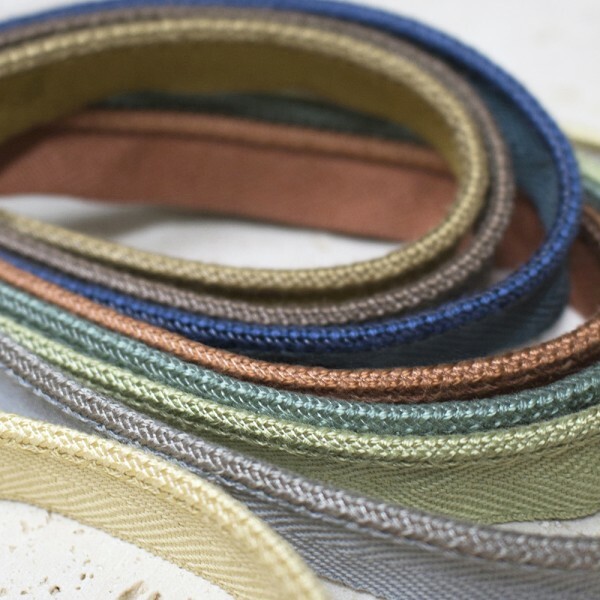 Styles include 1/8" micro cords with lip and 1” and 1 ½” flat tapes which can be layered upon one another in tonal or contrasting colors to create unique borders. Fantastic on the leading edge or bottom edge of draperies, cornices and Roman shades. The possibilities are endless.